Tops Roofing has been in operation since 1987 with myself, Brian Burnett, providing expert installations for homeowners since 1978. Our name really does say it all, as our commitment to quality and service is second to none. 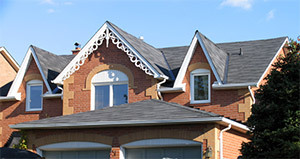 Our Oakville roofing contractors believe in providing Oakville with the best roofing services around. Our goal is go above and beyond every client’s expectations. 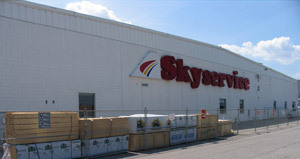 No job is too small or complex for our experienced Oakville roofing contractors! We stand out from our competitors due to our constant need to be perfectionists. Every job is equally important and we are there to fix any problems that may arise. After obtaining comparative quotations, we selected Tops Roofing based upon a combination of their presentation and their extensive customer referrals, which included customers personally known to us. Consistent with the quality , value, efficiency and courtesy of the services rendered in the installation of our replacement roof, we are pleased to join the customer referral list, and to endorse Tops Roofing as a “best-in-class” contractor. Oakville, Burlington, Mississauga, Brampton, Milton, Stoney Creek, Dundas, Ancaster, Hamilton, Grimsby, Flamborough, Waterdown and other cities in Southern Ontario. Website Developed by Vision Design | Partners.